Metal Tech 4x4 FJ80 Series Land Cruiser/Lexus LX 450 adjustable rear upper links featuring Currie Johnny Joints. One of the biggest benefits of replacing your rear upper control arms on your 100 series Land Cruiser is to correct the pinion angle for proper drive shaft angle. 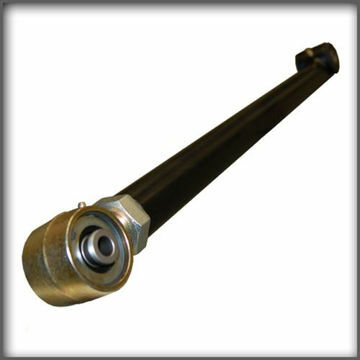 An added benefit as well is the increased flexibility of the axle as it articulations off road for a more stable feel. 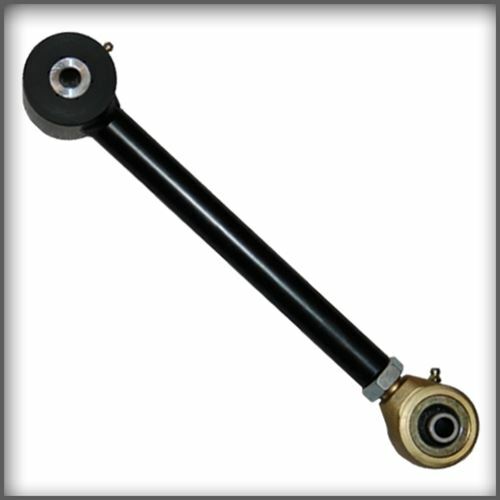 By adding the Currie Johnny Joint to the link you can easily adjust your axle along with up to 30* of rotation. Metal Tech 4x4 rear upper links are made out of 1.25 x.188 DOM tubing, cnc machined to accept Currie 2" Johnny Joints, poly urethane bushings, 1" DOM sleeve with .25" wall support and a grease zirk for maintenance. These links have a limited lifetime warranty on the structure of the link (the tubing and the bushing shell) this does not cover the wear items such as the polyurethane bushings, johnny joint and grease zirks.